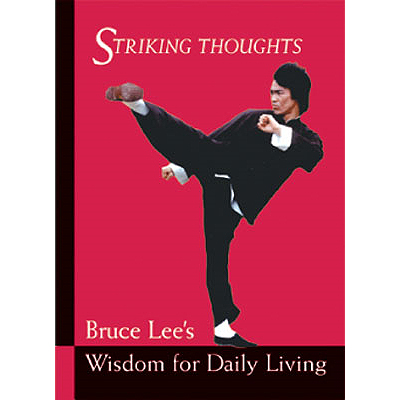 The following quotes are from the book Striking Thoughts: Bruce Lee’s Wisdom for Daily Living by John Little. Think about that next time you feel nickel and dimed by an airline. Ticket prices are less than they were twenty years ago, so in the end you’re still paying the same price you were in 1992, maybe even less. Keep in mind the Barbie Glam Vacation Jet costs $119.99 at ToysRus. That’s more than most one way tickets. Don’t let what happened on your last flight affect your next flight. Often passengers will board and immediately want to rehash the details of what went wrong on another trip. Things don’t usually go so well from here. How could it? I’ve just been linked to the worst flight ever! To become a flight attendant one must be flexible. Being able to quickly adapt to change is essential on the job. If there’s one thing we can count on in the aviation industry, it’s something is bound to go wrong. This is why we always have back up plans A, B, C, and D. So next time something doesn’t seem to be going right, do what a flight attendant would do and instead of getting upset about what should be happening, focus on what is happening, and start making alternative plans – QUICKLY! Before all the hotel rooms are booked and the rental agencies run out of cars. 4. Anxiety – Anxiety is the gap between the NOW and the THEN. So if you are in the now, you can’t be anxious, because your excitement flows immediately into ongoing spontaneous activity. I can spot a fearful flier a mile away. If they’re not asking about the weather, they’re clutching the armrest and sweating profusely. A little unknown fact is more people die falling off donkeys than they do in plane crashes. Remember that next time you start to feel anxious. Focus on the fact that you’re sitting in a somewhat uncomfortable seat and drinking the beverage of your choice. There’s probably even a very nice person sitting beside you. If that doesn’t work, tell a flight attendant what’s going on and we’ll do what we can to help. We’re trained professionals. That’s what we’re there for. 5. Not to think, but to do – Our grand business is not to see what lies dimly at a distance, but to do what lies clearly at hand. You know the saying, life is the journey, not the destination? Well it’s true. Your trip starts as soon as you throw your bags into the trunk of your car. We only get one chance at this life, so why not make the most of it, even if you’re on an airplane or stuck in the terminal after a breach in security at Newark Airport. This is pretty funny and informative….as a former “Aeronautical Beverage Transport Technician” for a major airline I appreciate these kinds of things…..